I’ve had many readers from Australia and the UK ask if there’s an alternative to Cool Whip (I guess it’s a North American thing?). 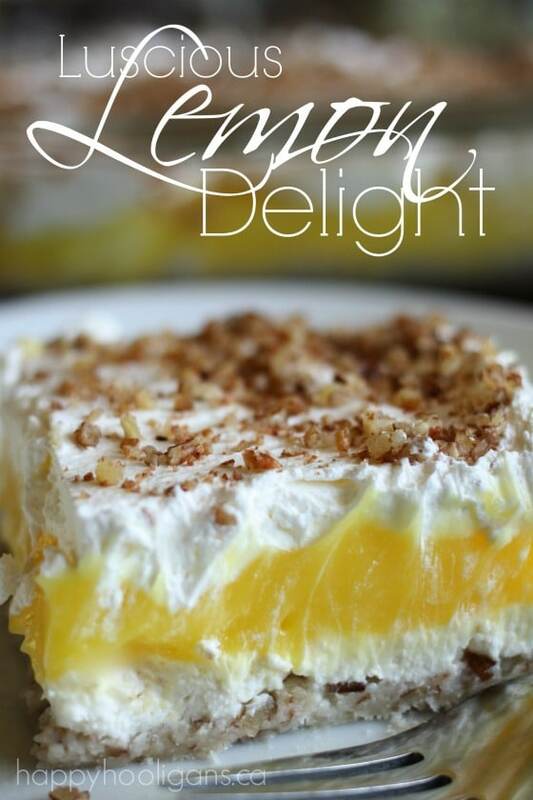 A thoughtful reader passed this recipe for homemade Cool Whip for those of you who can’t find the name brand in your grocery stores. 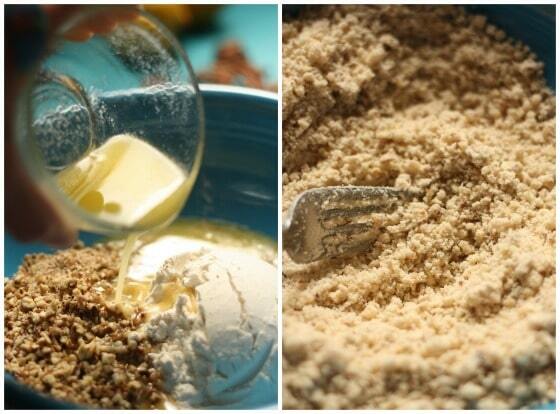 Combine flour, chopped pecans and melted butter. Make sure your pecans are either ground or chopped very finely. This will produce a crust that holds together nicely. 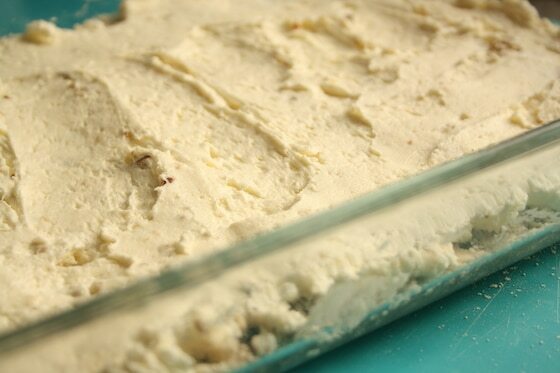 Press this mixture into the bottom of a 9 x 13 baking dish. 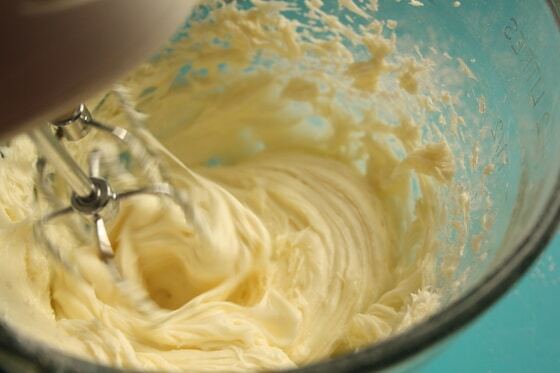 With electric beaters, mix cream cheese and icing sugar until smooth and creamy. Fold in 1 cup of Cool Whip, and spread over crust. *If your crust pulls apart, don’t panic. Your pecans were likely a bit course (ask me how I know this). 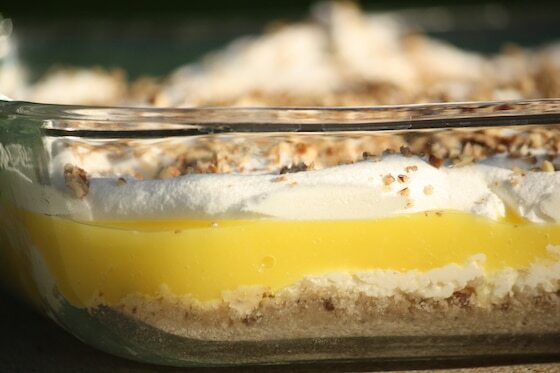 Just work slowly (you may have to get your fingers in there) to spread the cream cheese layer as best as you can. Whisk together pudding packets and milk. 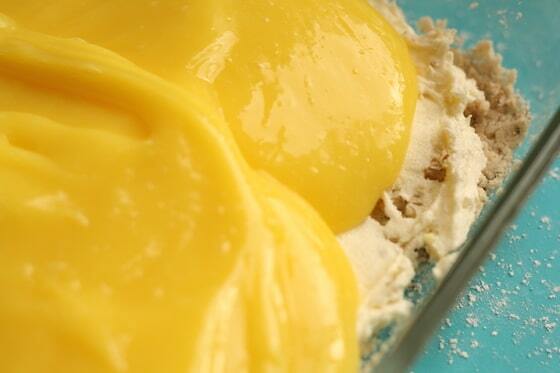 Add lemon juice, and continue to stir until thick. Spoon remaining Cool Whip over the pudding. Sprinkle with a dusting of chopped pecans.